This summer, Olancho Aid welcomes three new volunteers to our program. Gina, Stephanie, and Savannah all join us following short-term mission trips with Holy Family Parish in Tennessee. They will be serving in different capacities in the Foundation both on the ground in Honduras and virtually in the United States, and we are so excited to have them on our team! Gina Schmid is from Brentwood, TN. She is currently enrolled in classes at the University of Tennessee at Chattanooga. She is studying Secondary Education with a concentration in History, in the hopes of becoming a high school history teacher. 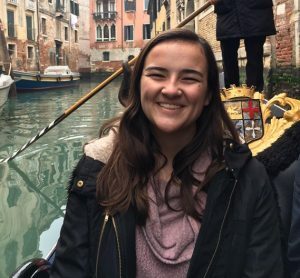 During high school she was active in serving her local community with organizations such as Room in the Inn, a program for the homeless community in Nashville, Mepkin Abbey Alternative Spring Break Program serving Trappist monks in Charleston, and with the American Cancer Society’s Relay for Life. This is her 6th time in Juticalpa, and it is by far her favorite place to volunteer. She hopes to bring a new excitement for learning and understanding the English language by tutoring students grades 1st through 6th! Stephanie is from Nashville, TN, and is a junior at Saint Louis University studying Leadership and Human Resources Management. At SLU she participates in a service learning community where she tutors immigrant children in both math and reading. In addition, she volunteers at fundraising events for the Ronald McDonald House. She has been volunteering with Olancho Aid through their mission trips since 2015 and is excited to see what the business side of the organization looks like. She looks forward to becoming more involved in the organization and learning as much as she can about both the people there and the work they do. Savannah is an incoming sophomore college student from Nashville, TN. 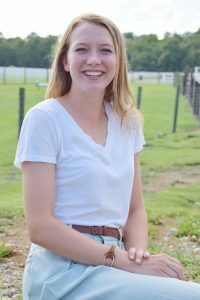 She graduated from Ravenwood High School in 2017, and she now attends The University of Alabama. 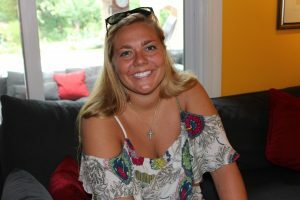 There, she is double majoring in Biology and Psychology on a Pre-Medical track, with hopes to either go to medical school or a physician’s assistant program after college. This is Savannah’s fourth time coming to Honduras to work with Olancho Aid, but it is her first time being a long-term volunteer. On past trips, she has come on week-long mission trips and has helped install water filtration systems, along with participating in clothes donations for villages around Olancho. She could not be more excited to have the opportunity to stay longer this time and volunteer more with the organization and people that have showed her her love and passion for mission work. She cannot wait to be helpful and useful in so many ways, and is thrilled to be able to have such an incredible opportunity to learn, grow and serve.